Did you know, one of the pioneers of early New Zealand womens fashion was not only an All Black captain, but later an All Black coach too? Fred "the needle" Allen established his fashion business in Auckland in 1947, after having previously worked for Christchurch department store Ballantynes. He produced womenswear from a number of different designers, supplying department stores and other outlets around the country for around 40 years. I got the information from this amazing book "The dress circle - New Zealand fashion design since 1940". 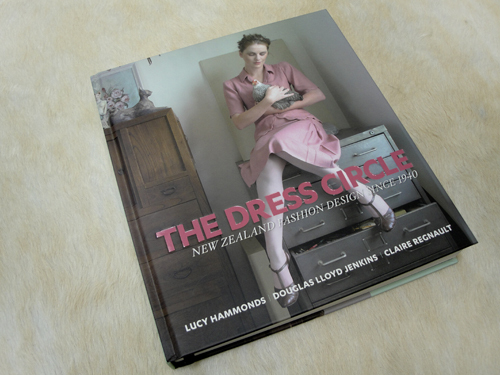 An awesome read for anyone interested in our fashion heritage. P.S: Thanks Sam, totally wicked birthday pressie!